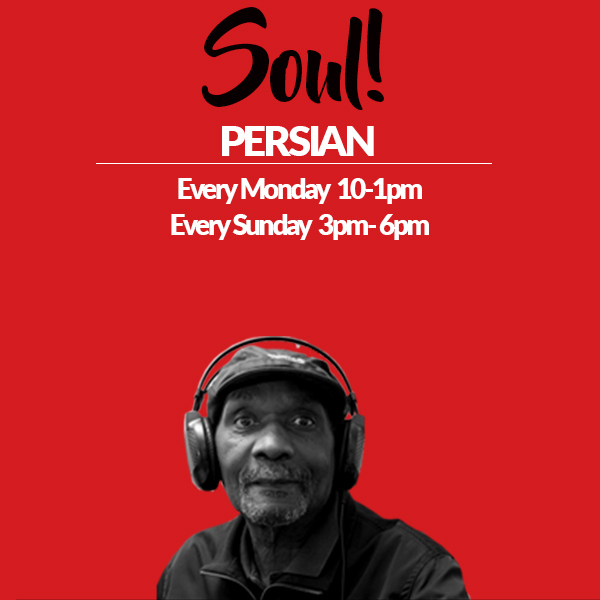 Perhaps the most well-known of all the Moss Side ( Manchester UK) DJs, Persian started playing “The Reno” (Famous Manchester night club) in 1968. At the time, reggae alone was the music of choice in the area. Persian gradually opened up the Reno crowd to soul sounds such as Al Green, Wilson Pickett and the Four Tops – seven inches all brought over from the States by a merchant seaman friend. Persian takes his listeners back in time with classics and underground music that keep his listeners hooked and rocking to some of the best feel good music of the 60’s 70’s 80’s etc.. Persian still supports and plays new up and coming music that is not found in the bundles of on the shelf music but instead helps break the barriers and obstacles for airplay of upcoming classic style soul music artists to be heard.